Congratulations to tour winner Edgar G. and to host winner Archaeolibrarian - I Dig Good Books! 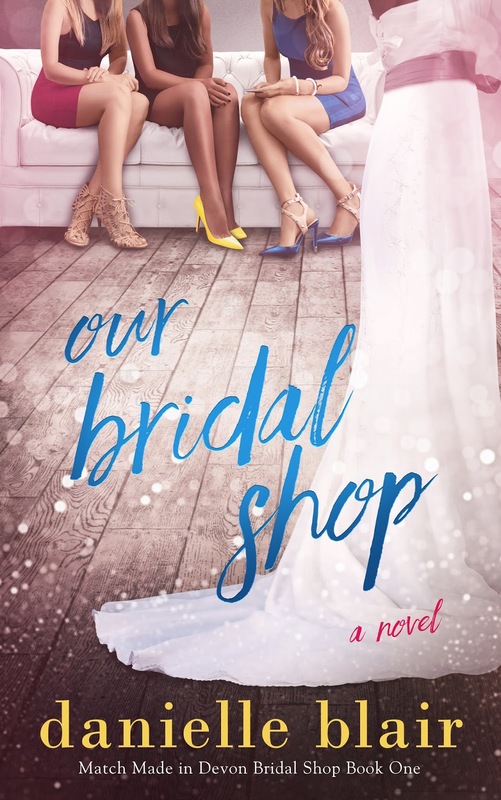 Goddess Fish Promotions is organizing a Virtual REVIEW ONLY Tour for Our Bridal Shop by Danielle Blaire, a 230 page Women's Fiction available now from Relay Publishing. The tour will run every Thursday for four weeks starting on February 28, and the book is available in epud and mobi formats. Danielle Blaire will be awarding a $10 Amazon or Barnes and Noble GC to a randomly drawn winner via rafflecopter during the tour, Because this is a review tour, GFP will award a $5 Amazon GC to a randomly drawn host. Every family has its secrets, and the March family is no exception. For the March sisters, Match Made in Devon, the bridal shop opened and run by their parents, was a real-world representation of what true love was all about. But for eldest sister Alexandra that kind of perfection has always seemed unreachable. March 7: Archaeolibrarian - I Dig Good Books!